It's one of those medical anomalies that nobody can really explain: Longitudinal studies have consistently shown that people who don't consume any alcohol at all tend to die before people who do. At first glance, this makes little sense. Why would ingesting a psychoactive toxin that increases our risk of cancer, dementia and liver disease lengthen our lifespan? Well, the anomaly has just gotten more anomalous: A new study, published in the journal Alcoholism: Clinical and Experimental Research, followed 1,824 participants between the ages of 55 and 65. Once again, the researchers found that abstaining from alcohol increases the risk of dying, even when you exclude former alcoholics who have now quit. (The thinking is that ex-drinkers might distort the data, since they've already pickled their organs.) While 69 percent of the abstainers died during the twenty-year time span of the study, only 41 percent of moderate drinks passed away. (Moderate drinkers were also 23 percent less likely to die than light drinkers.) But here's the really weird data point: Heavy drinkers also live longer than abstainers. (Only 61 percent of heavy drinkers died during the study.) In other words, consuming disturbingly large amounts of alcohol seems to be better than drinking none at all. We live in a reductionist age, in which every longitudinal effect is explained away at the most fundamental possible level. And so this study will no doubt lead researchers to probe the benefits of red wine, with its antioxidants and resveratrol. It will also lead people to explore the cardiovascular benefits of alcohol, since many of the perks of drinking (such as increased levels of HDL cholesterol) seem to extend to people who drink beer and hard liquor. These are all important hypotheses, the sort of speculations that assuage this drinker's heart. (I'm no Don Draper, but I certainly enjoy my evening IPA.) Nevertheless, I worry that in the rush to reduce, to translate the unexpected longitudinal effect into the acronyms of biochemistry, we'll miss the real import of the study. Let's think, for a moment, about the cultural history of drinking. The first reason people consume booze is to relax, taking advantage of its anxiolytic properties. This is the proverbial drink after work – after a eight hours of toil, there's something deeply soothing about a dose of alcohol, which quiets the brain by up-regulating our GABA receptors. (But don't get carried away: While the moderate consumption of alcohol might reduce the stress response, blood alcohol levels above 0.1 percent - most states consider 0.08 the legal limit for driving - trigger a large release of stress hormones. Although you might feel drunkenly relaxed, your body is convinced it's in a state of mortal danger.) And so the stresses of the day seem to fade away – we are given a temporary respite from the recursive complaints of self-consciousness. Since chronic stress is really, really bad for us, finding a substance that can reliably interrupt the stress loop might have medical benefits. But drinking isn't just about de-stressing. In fact, the cultural traditions surrounding alcohol tend to emphasize a second, and perhaps even more important, function: socializing. For as long people have been fermenting things, they've been transforming the yeasty run-off into excuses for big parties. From Babylonian harvest festivals to the bacchanalias of Ancient Greece, alcohol has always been entangled with our get togethers. This is for obvious reasons: Alcohol is a delightful social lubricant, a liquid drug that is particularly good at erasing our inter-personal anxieties. And this might help explain why, according to the new study, moderate drinkers have more friends and higher quality "friend support" than abstainers. They're also more likely to be married. What does this have to do with longevity? In recent years, sociologists and epidemiologists have begun studying the long-term effects of loneliness. It turns out to be really dangerous. We are social primates, and when we're cut off from the social network, we are more likely to die from just about everything (but especially heart disease). At this point, the link between abstinence and social isolation is merely hypothetical. But given the extensive history of group drinking – it's what we do when we come together – it seems likely that drinking in moderation makes it easier for us develop and nurture relationships. And it these relationships that help keep us alive. Of course, relationships have their own chemistry, a language of dopamine, oxytocin, vasopressin, etc. But I think that in the rush to decipher the bodily molecules, we are missing the essential lesson, which is that some of the most valuable health benefits don't come from compounds that can be bottled, or condensed into a gel capsule. Instead, they come from other people, from those lovely conversations we share over a glass or three of wine. Surgeon General's Warning: Of course, these longitudinal correlations don't mitigate the negative, and frequently devastating, consequences of alcohol and alcoholism. Let's not forget that alcohol can be an addictive substance, and that, in many contexts, drinking promotes violence and thuggishness, and not polite socializing. It's also essential to note that all of the aforementioned health benefits of alcohol (such as de-stressing and socializing) can also be achieved for free, such as with meditation or by simply being a good friend. 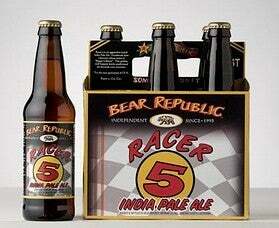 Image: One of my favorite IPA's.